Most PC users at some point of time will experience an unexpected data loss. Data loss can happen due to various reasons and research says that the data loss happens mainly due to the failure of hard drive. Unfortunately, for some users it might be a permanent data destruction as they failed to have a best practice for backing up their data. Whenever data is lost from the hard drive, an advanced data recovery tool or professional hard drive recovery company is required in order to extract the data. But PC users should be proactive and prevent putting their data at risk. The failures of hard drive rates are too high and this serves as a wake up call for both business and personal users. The hard drive cannot be reliable for a long period. Therefore, the users should have proper backup procedures in place to help manage any unexpected hard drive failure and easily recover data from corrupted hard drive. Even if proper backup procedures are followed, often it becomes outdated. There should be someone in the business to review the efficacy of the backup system and determine whether there are any new procedures that need to be installed. Users should use SMART (Self-Monitoring, Analysis and Reporting Technology) alerts to know the impending hard drive failures. The S.M.A.R.T. tools can proactively alert the IT team when a drive is having problems, allowing them to provision a new drive and avoid any interruption in business services. Every type of hard drive failure is unique. So users should first understand about the type of data loss, reason for the data loss and what can be done to repair HD. After a failure, if the IT/system is still able to recognize the hard drive, then it is possible to get back the data using data recovery software or the right system tools. If the drive is not recognized, then it’s best to remove it immediately and then send it along to an hard drive data recovery UK company. Data Retrieval Ltd is the best data recovery company in London, offering hard drive data retrieval services for businesses, organizations and home users who are experiencing a drive failure. The company specializes in failed hard drive recovery and broken hard drive recovery. The raid recovery services of the company is highly competitive irrespective of the type of recovery required. The data recovery lab of the company is well equipped with all the latest UK data recovery tools and the technicians for safe and secure computer data recovery. The other services offered by the company are USB flash drive data recovery, raid data recovery service, external hard drive recovery service and flash drive data recovery. Many believe that cloud offers protection and redundancies. But they forget the fact that the cloud still relies on physical servers that are located somewhere to store the data and they can still experience data loss. This doesn’t mean that the cloud backup services are unreliable, it just mean that they aren’t failure proof, and companies should discuss with cloud backup service providers their records on the failures and the procedures they have in place to manage those data loss. Data failures at the cloud require high level of expertise and it can be done only by a professional and expert data recovery company. These jobs are highly complex and require the usage of proper tools and lab that are necessary for recovering data from within virtual environments. Data recovery hard disk requires high experience and training to extract the data from the failed or broken hard drive. A final word of caution is to avoid trying to recover data from the hard drive using methods sourced from the internet. For example, the old freezer trick is proving to be a failure method to recover data from the failed hard drive. Home remedies can make recovery more difficult, and in most of the cases they can make it impossible by irreversibly wrecking a hard drive’s components. 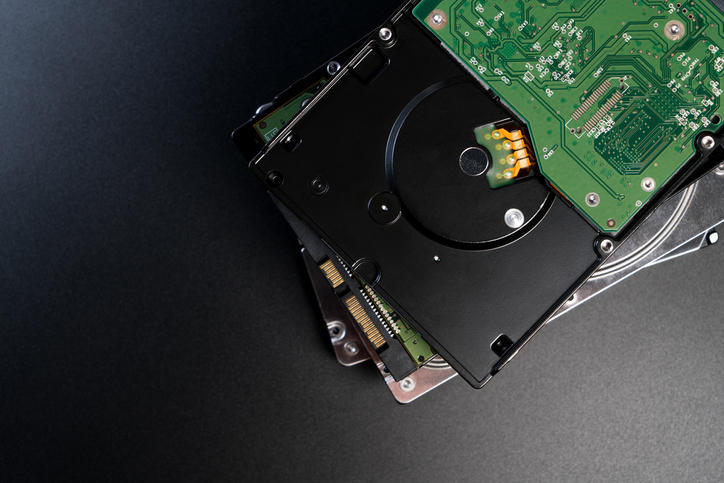 Taking matters into one’s own hands can cause the loss of data more critical and add a considerable cost to the hard drive data recovery prices.